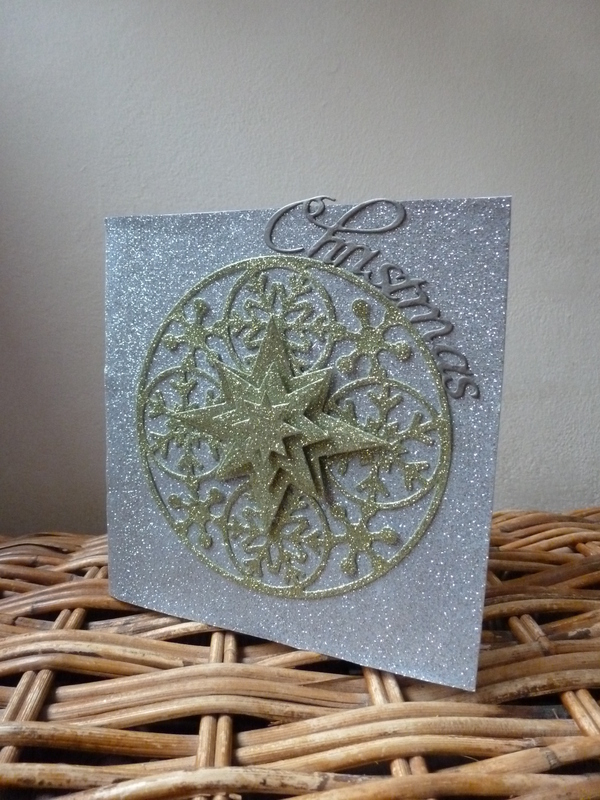 I made this card some time ago and didnt know what to do with it, and all of a sudden I thought of putting a snowflake in the aperture and some snowflakes onto the front, and hey presto! 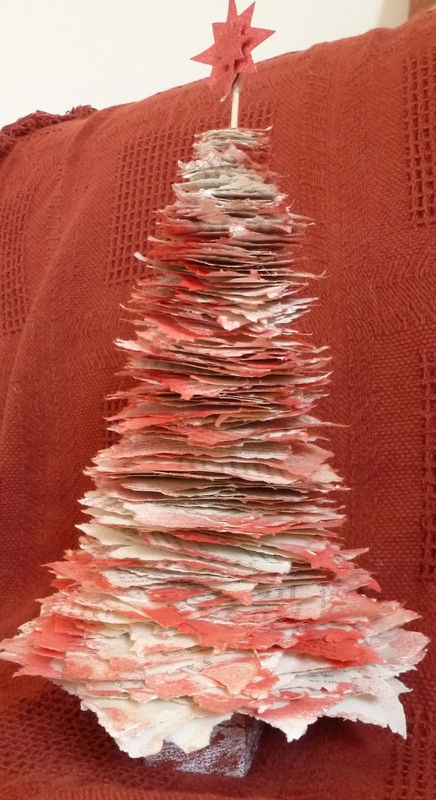 Once again, you will have to believe me when I tell you that this little fella, made of torn squares of book pages, which are then skewered onto a wooden skewer (!) 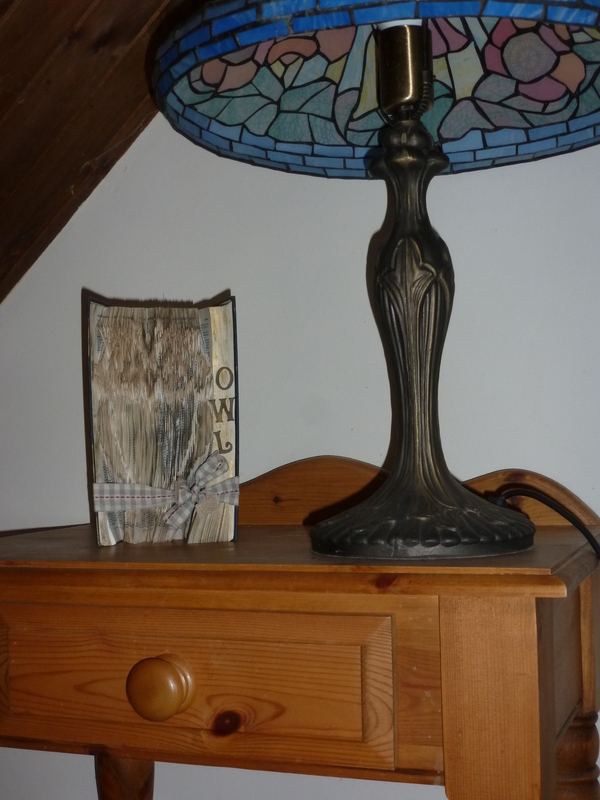 and stuck into a painted square piece of wood that my hubby and I scoured the beach for, looks WAY better in real life! For some reason, I just could NOT get a good picture of it. and I really tried! Hello peeps! I hope you had a fab Xmas and I wish you only the best for this coming year! Im afraid the dreaded slipped disc hit me again three weeks ago, so Im limping around and laying around (mostly) – and becoming quite the morphine addict! Anyhow, back to craft! I really like this little card that I made yesterday! (I have to make cards that dont require a lot of sitting as thats difficult with this disc problem, but I yearn to craft so still do bits where I can!) 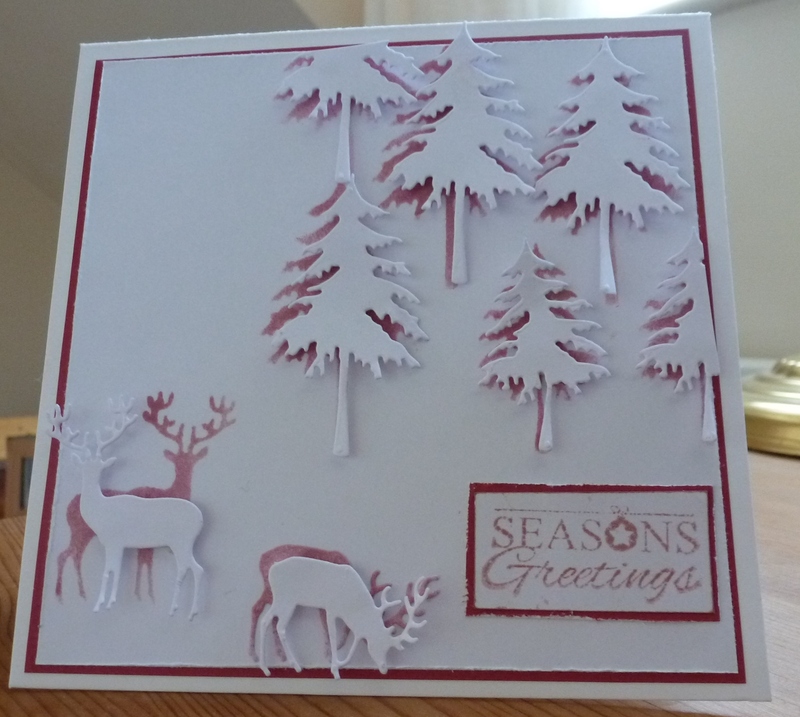 I started off masking the trees in pink and then thought, lets add a tad of dimension and so I added the die cut trees on foam pads that I treated myself to recently (Ive been treating myself quite a bit lately, I really must stop spending lol) Hope you like it too! 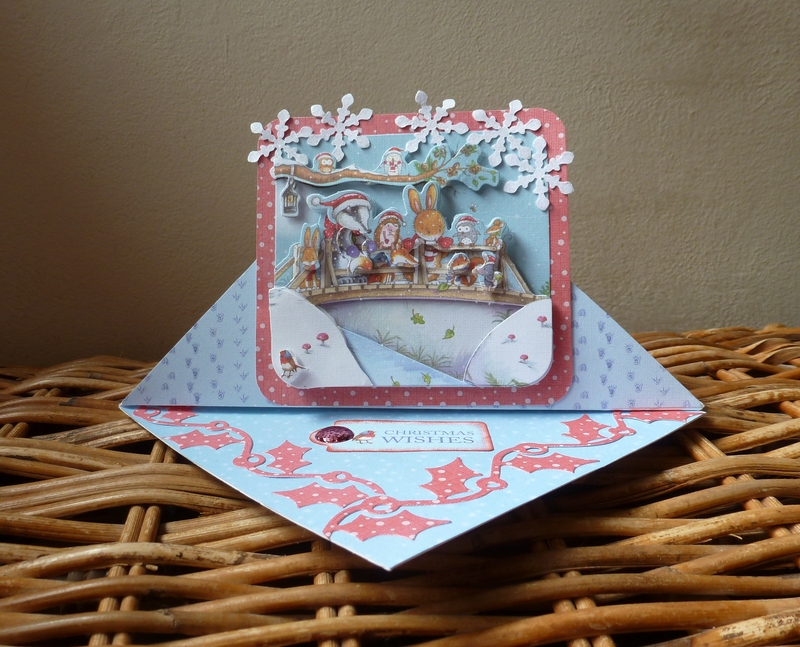 This happened last year too; after making Xmas cards I found I had really got into the swing of it so I thought whilst the tempo was alive and kicking, I would continue making next years cards now! Hi there and welcome to my first attempts at Kusudama flowers! 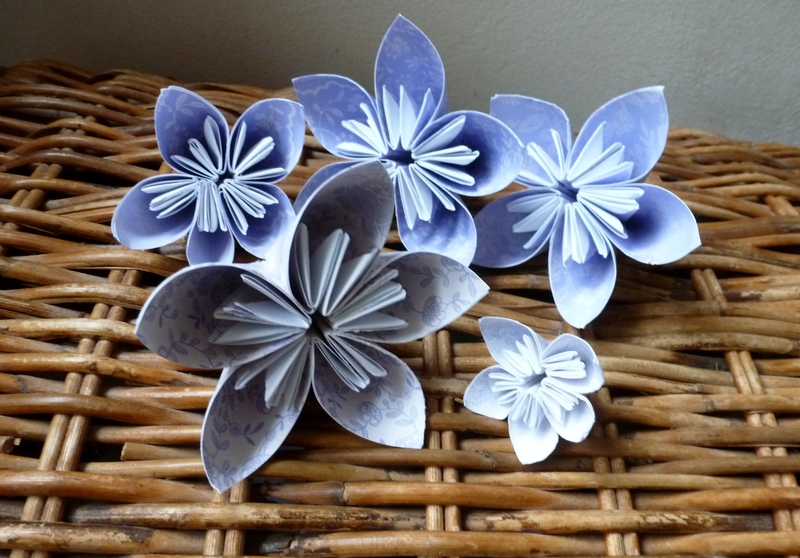 They are part of the Origami sphere of paper folding, I believe and Ive made my flowers out of Papermania French Lavender papers. 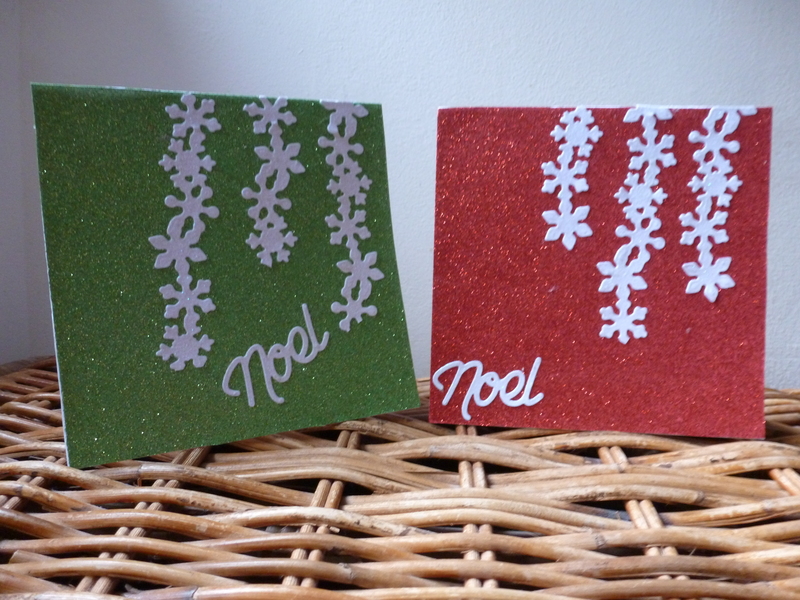 My girlfriend Chris loves these little critter type characters, so I thought I would make her an easel card for Xmas! 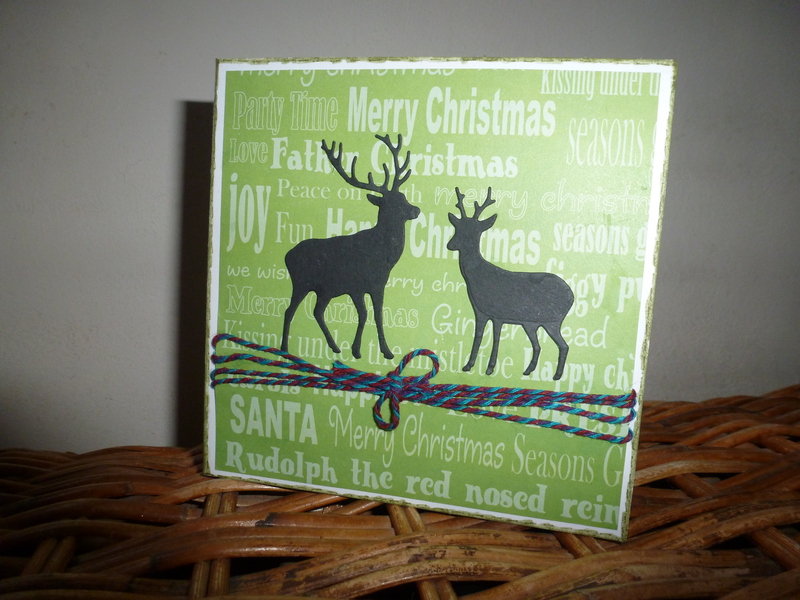 The wonderful XCut Xmas border dies are fab, as you can see with thise holly vine one! Try as I might, I cannot get this to look as good in a photo as it does in real life! 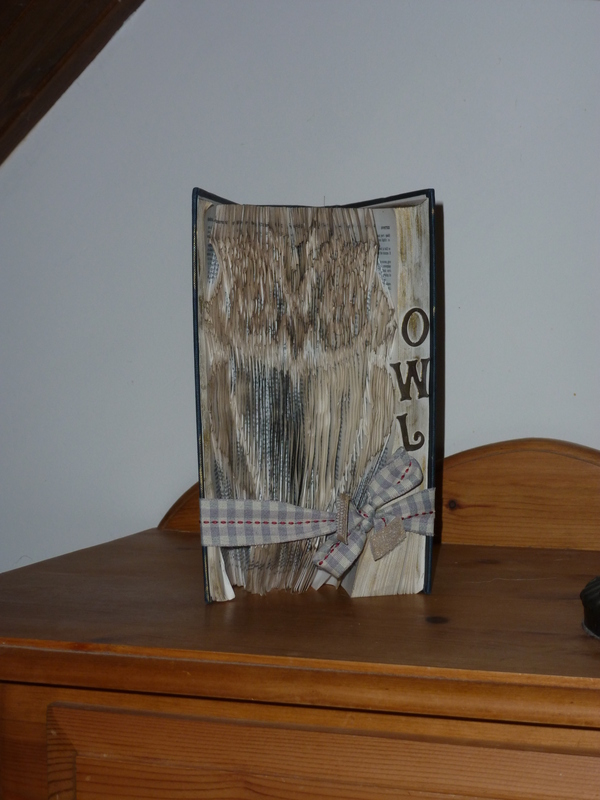 I love the art of book folding and here is my Owl in a book! Hello again! 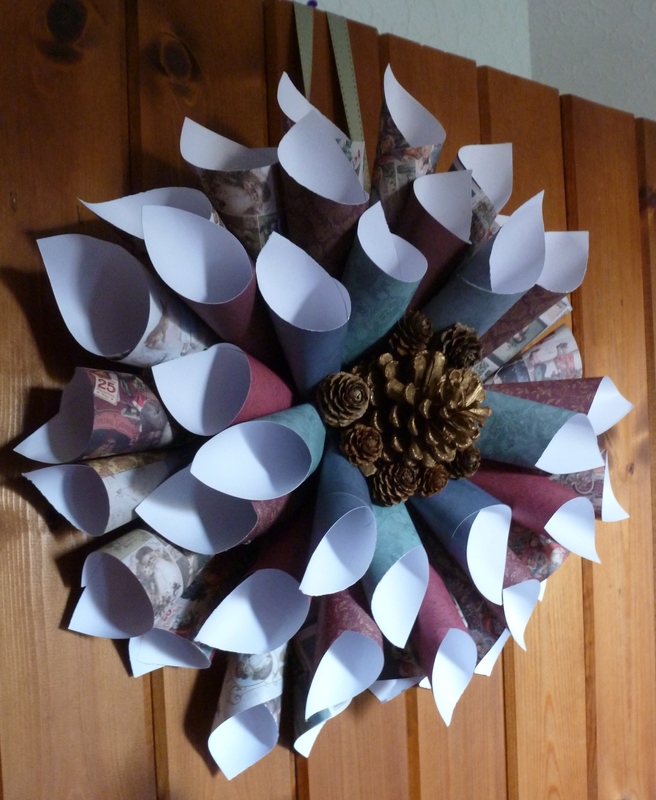 I made this paper wreath yesterday and it was surprisingly quick to do! 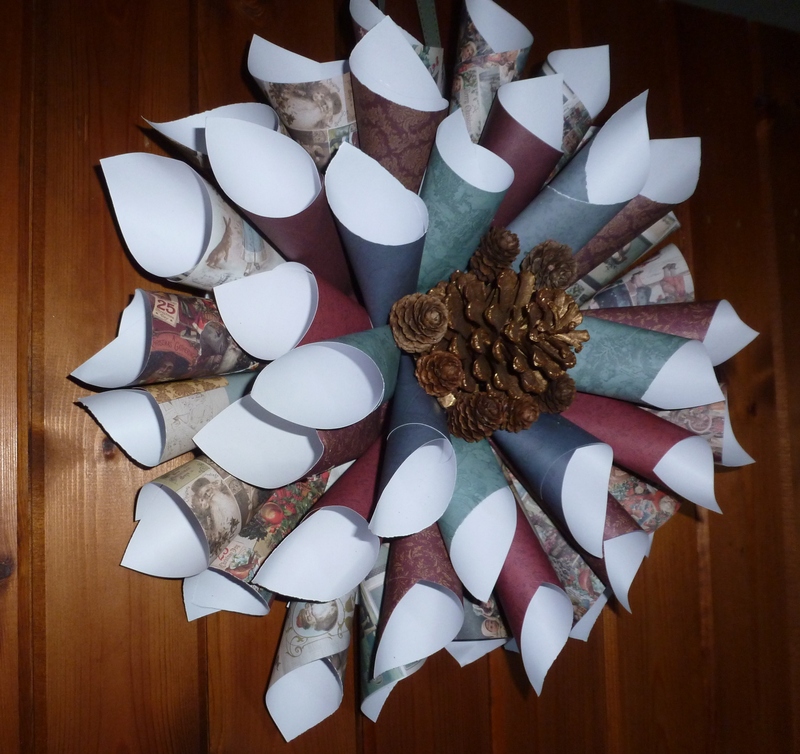 I rolled the paper into scrolls and hot glued to a circular backing before adding pine cones. A ribbon is used for the hanger element. Im really pleased with it!